Emotion is an important aspect of human motivation, there are biological, cognitive and social & cultural construction aspects. 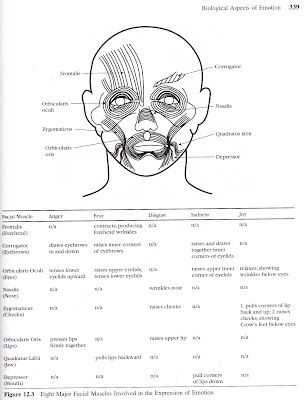 Arguably most understandings of the topic of emotion are culturally bound and there are cultural and personal processes to the construction of emotion but on the basis of facial masculature there are at least 5 biological dimensions of emotion and these can compose other subordinate emotions that can further be interpreted in the context of circumstance, other or self cause, wether they are understood as positive and negative (good or bad value) and the degree of potential of control, and this is not going into discursive processes. So big topic, unlikely to be adequately covered here, but here we go. 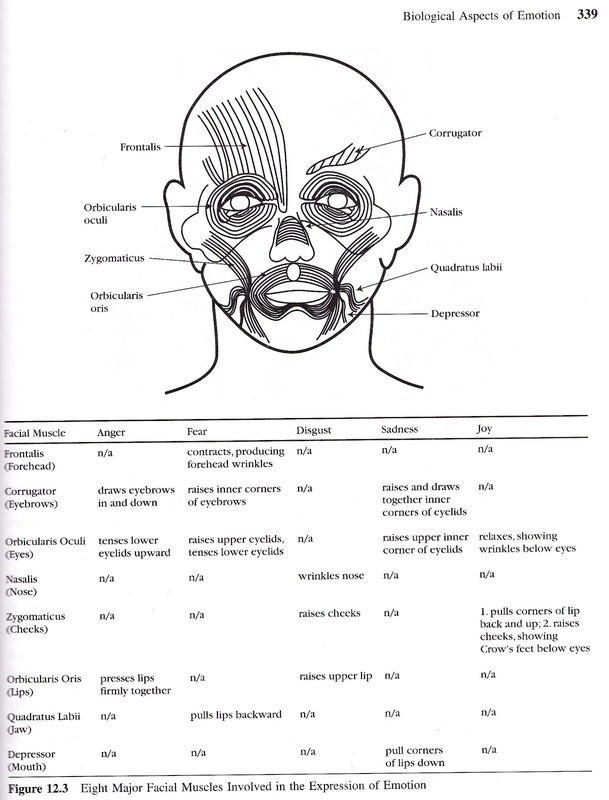 On the basis of facial musculature there are a minimum of 5 basic families of emotion, this is linked to a facial feedback hypothesis, that when transformed into conscious awareness, is a major part of the personal experience of emotion (Reeve 2009 : 339). 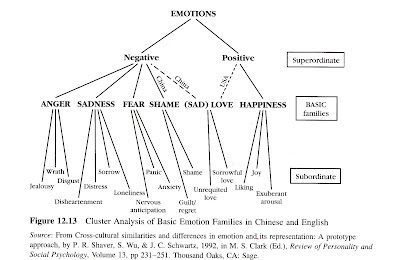 This is arguably the 5 basic families of emotion that are universal to the human experience and are five dimensions without social & cultural construction. There are universal dimensions of emotion that have specific meanings in social interaction and a cultural context. 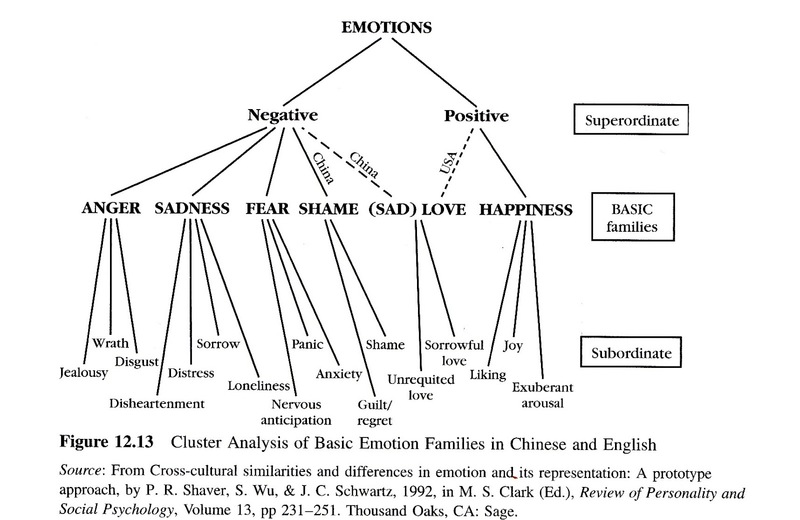 This tends to be evident in the emotional repertoire of people, for example in cultures heavily influenced by American culture "Love" is constructed to mean a form of happiness while in Chinese culture "Love" is constructed as a form of sadness, the meaning of love to people of these two different cultures is different (Reeve 2009 : 358). There are economic and cultural explanations for this, love as meant in the American meaning as "Romantic love" and relationships are formed in this context, irrespective of the reality, this is how it will be interpreted and is constructed in major forms of media. In traditional chinese culture "Romantic love" has the potential to break down respect and deference that is shown in the traditional relationships composing community. Situations define what emotions are most appropriate and expected, thus people tend to select a setting and construct a particular emotional experience for themselves, aspects of situation include interpersonal status and are significant in creating, maintaining and dissolving interpersonal relationships. Emotional contagion is the tendency to automatically mimic and synchronize expressions, vocalizations, postures and movements with those of another person, thus converging emotionally. Aspects of this topic include emotion knowledge, expression displays, expression management and emotion control. Each situation, or communication event, putting this within a discursive approach will have an emotional component that may involve emotion management and an internalized strategy. Reeve, Johnmarshall. (2009) . Understanding Motivation and Emotion. (5th Edition). Published by John Wiley & Sons. Pages 357-363.